Bradfields longspan racking and shelving systems are the perfect solution for manually storing products of a medium size and weight. 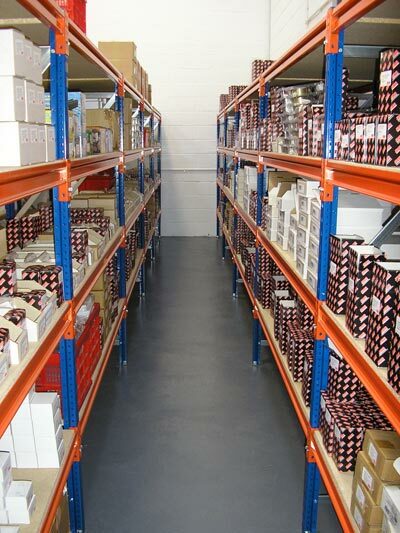 Our wide span and longspan shelving ranges offer strength, durability and maximum stability for your storage needs. 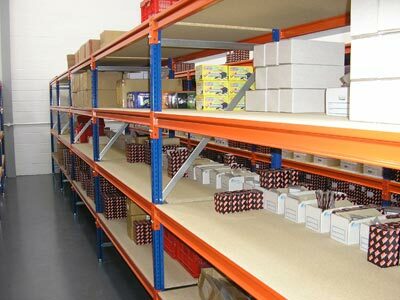 Installation of our wide and longspan shelving systems is quick and simple. 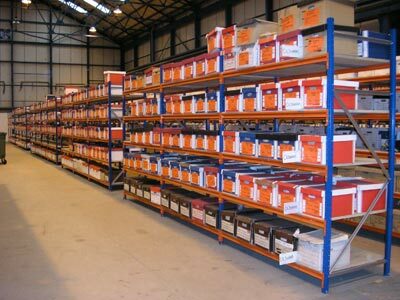 The resilience and versatility of these shelving ranges allows our systems to efficiently meet the storage needs of workshops, archives, industrial stores and general warehousing. 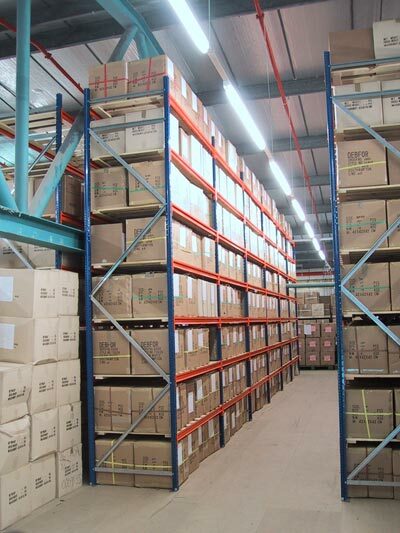 Any longspan shelving system consists of two basic components: frames and beams. The frames are constructed from uprights bolted together with horizontal and diagonal bracing, and can be pre-assembled by suppliers to reduce installation time. 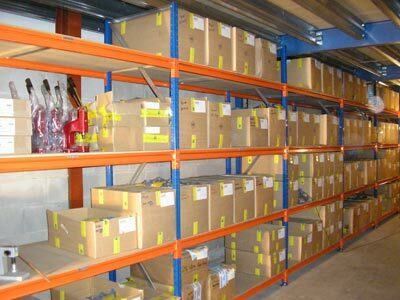 The beams simply slot into the frame of the long or wide span racking unit and are safely secured in place with a locking pin. The frame’s feet are then bolted to the floor for extra safety and stability. 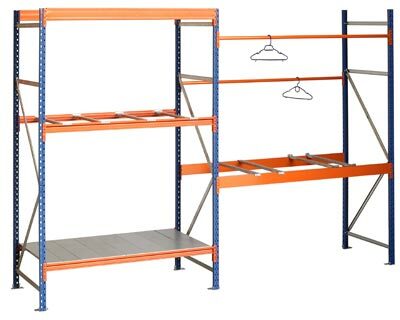 These industrial longspan shelf systems consist of beams that are available as either ‘box’ or ‘Z’ profiles. The ‘Z’ profile has a stepped recess allowing for a chipboard or steel panel shelf to be used. 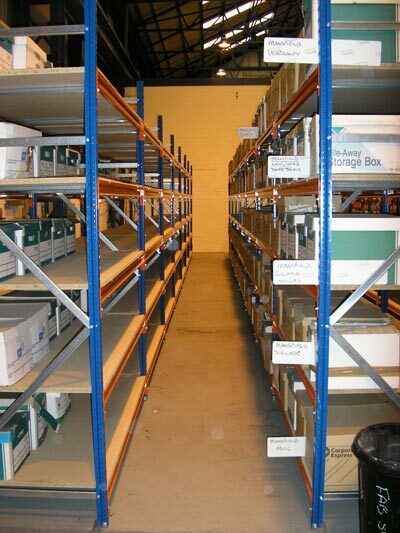 Support bars are available from suppliers for the ‘Z’ beams which help strengthen the chipboard and allow heavier loads to be stored on the wide span racking system. The box beam requires a support bar if used with a chipboard shelf and creates a very heavy duty platform.